S&P BSE SENSEX, first compiled in 1986, was calculated on a 'Market Capitalization-Weighted' methodology of 30 component stocks representing large, well-established and financially sound companies across key sectors. The base year of S&P BSE SENSEX was taken as 1978-79. S&P BSE SENSEX today is widely reported in both domestic and international markets through print as well as electronic media. It is scientifically designed and is based on globally accepted construction and review methodology. Since September 1, 2003, S&P BSE SENSEX is being calculated on a free-float market capitalization methodology. The 'free-float market capitalization-weighted' methodology is a widely followed index construction methodology on which majority of global equity indices are based; all major index providers like MSCI, FTSE, STOXX, and Dow Jones use the free-float methodology. The growth of the equity market in India has been phenomenal in the present decade. Right from early nineties, the stock market witnessed heightened activity in terms of various bull and bear runs. In the late nineties, the Indian market witnessed a huge frenzy in the 'TMT' sectors. More recently, real estate caught the fancy of the investors. S&P BSE SENSEX has captured all these happenings in the most judicious manner. One can identify the booms and busts of the Indian equity market through S&P BSE SENSEX. As the oldest index in the country, it provides the time series data over a fairly long period of time (from 1979 onwards). Small wonder, the S&P BSE SENSEX has become one of the most prominent brands in the country. S&P BSE SENSEX is calculated using the 'Free-float Market Capitalization' methodology, wherein, the level of index at any point of time reflects the free-float market value of 30 component stocks relative to a base period. The market capitalization of a company is determined by multiplying the price of its stock by the number of shares issued by the company. This market capitalization is further multiplied by the free-float factor to determine the free-float market capitalization. The base period of S&P BSE SENSEX is 1978-79 and the base value is 100 index points. This is often indicated by the notation 1978-79=100. The calculation of S&P BSE SENSEX involves dividing the free-float market capitalization of 30 companies in the Index by a number called the Index Divisor. The Divisor is the only link to the original base period value of the S&P BSE SENSEX. It keeps the Index comparable over time and is the adjustment point for all Index adjustments arising out of corporate actions, replacement of scrips etc. During market hours, prices of the index scrips, at which latest trades are executed, are used by the trading system to calculate S&P BSE SENSEX on a continuous basis. Equities of companies listed on Bombay Stock Exchange Ltd. (excluding companies classified in Z group, listed mutual funds, scrips suspended on the last day of the month prior to review date, scrips objected by the Surveillance department of the Exchange and those that are traded under permitted category) shall be considered eligible. Listing History: The scrip should have a listing history of at least three months at BSE. An exception may be granted to one month, if the average free-float market capitalization of a newly listed company ranks in the top 10 of all companies listed at BSE. In the event that a company is listed on account of a merger / demerger / amalgamation, a minimum listing history is not required. The scrip should have been traded on each and every trading day in the last three months at BSE. Exceptions can be made for extreme reasons like scrip suspension etc. Companies that have reported revenue in the latest four quarters from its core activity are considered eligible. From the list of constituents selected through Steps 1-4, the top 75 companies based on free-float market capitalisation (avg. 3 months) are selected as well as any additional companies that are in the top 75 based on full market capitalization (avg. 3 months). The filtered list of constituents selected through Step 5 (which can be greater than 75 companies) is then ranked on absolute turnover (avg. 3 months). Any company in the filtered, sorted list created in Step 6 that has Cumulative Turnover of >98%, are excluded, so long as the remaining list has more than 30 scrips. The filtered list calculated in Step 7 is then sorted by free float market capitalization. Any company having a weight within this filtered constituent list of <0.50% shall be excluded. All remaining companies will be sorted on sector and sub-sorted in the descending order of rank on free-float market capitalization. Industry/Sector Representation: Scrip selection will generally attempt to maintain index sectoral weights that are broadly in-line with the overall market. Track Record: In the opinion of the BSE Index Committee, all companies included within the S&P BSE SENSEX should have an acceptable track record. Free-float methodology refers to an index construction methodology that takes into consideration only the free-float market capitalization of a company for the purpose of index calculation and assigning weight to stocks in the index. Free-float market capitalization takes into consideration only those shares issued by the company that are readily available for trading in the market. It generally excludes promoters' holding, government holding, strategic holding and other locked-in shares that will not come to the market for trading in the normal course. In other words, the market capitalization of each company in a free-float index is reduced to the extent of its readily available shares in the market. 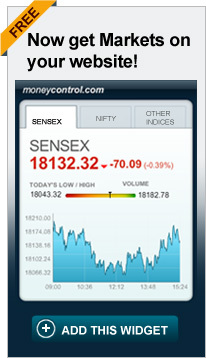 Subsequently all BSE indices with the exception of BSE-PSU index have adopted the free-float methodology. A Free-float index reflects the market trends more rationally as it takes into consideration only those shares that are available for trading in the market. Free-float Methodology makes the index more broad-based by reducing the concentration of top few companies in Index. A Free-float index aids both active and passive investing styles. It aids active managers by enabling them to benchmark their fund returns vis-� -vis an investible index. This enables an apple-to-apple comparison thereby facilitating better evaluation of performance of active managers. Being a perfectly replicable portfolio of stocks, a Free-float adjusted index is best suited for the passive managers as it enables them to track the index with the least tracking error. Free-float Methodology improves index flexibility in terms of including any stock from the universe of listed stocks. This improves market coverage and sector coverage of the index. For example, under a Full-market capitalization methodology, companies with large market capitalization and low free-float cannot generally be included in the Index because they tend to distort the index by having an undue influence on the index movement. However, under the Free-float Methodology, since only the free-float market capitalization of each company is considered for index calculation, it becomes possible to include such closely-held companies in the index while at the same time preventing their undue influence on the index movement. Globally, the Free-float Methodology of index construction is considered to be an industry best practice and all major index providers like MSCI, FTSE, S&P and STOXX have adopted the same. MSCI, a leading global index provider, shifted all its indices to the Free-float Methodology in 2002. The MSCI India Standard Index, which is followed by Foreign Institutional Investors (FIIs) to track Indian equities, is also based on the Free-float Methodology. NASDAQ-100, the underlying index to the famous Exchange Traded Fund (ETF) - QQQ is based on the Free-float Methodology.